On the anniversary of the death of Thomas Gainsborough, it seems like the right time for a return to my occasional series about the paintings that have caught my eye. Gainsborough was known, of course, for his remarkable portraits and landscapes; he enjoyed a most illustrious client list, including some of the most famous names in Georgian society and his reputation has endured throughout the centuries to this very day, deservedly regarded as one of the icons of 18th century art. Gainsborough was father to two daughters, Mary and Margaret, born in 1750 and 1751 respectively. He painted them on several occasions and the work that has commanded my attention today is The Painter's Daughters with a Cat, though if you can spot the cat, well done! 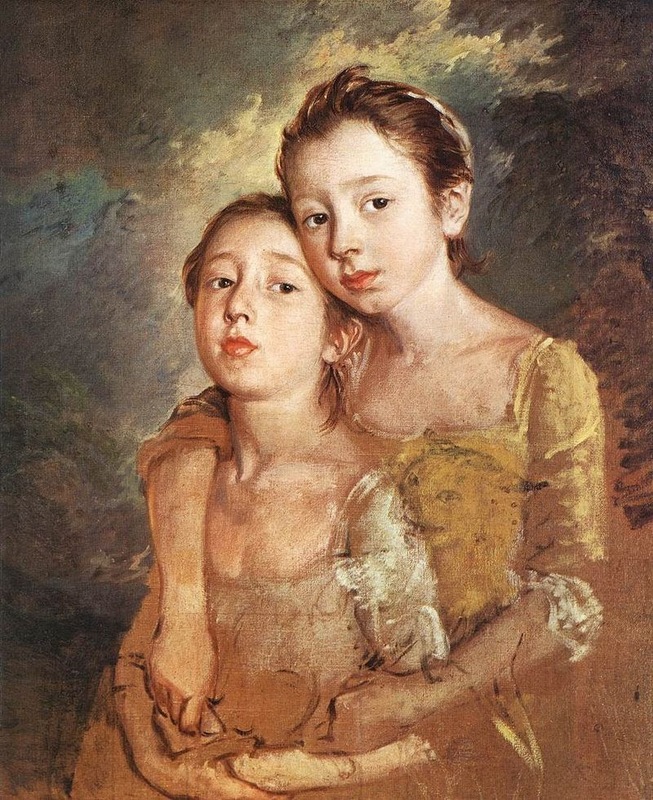 This portrait is undated but is believed to have been painted around 1760-61, based on the approximate age of the two girls.The unfinished work shows Mary and Margaret in a casual embrace, looking not directly at the viewer but slightly off to the side, perhaps to where Gainsborough works at the canvas. I find it a striking image and one that captures the spirit of the children, utterly at ease with one another and with with the business of posing for the celebrated artist who to them, was simply a father. 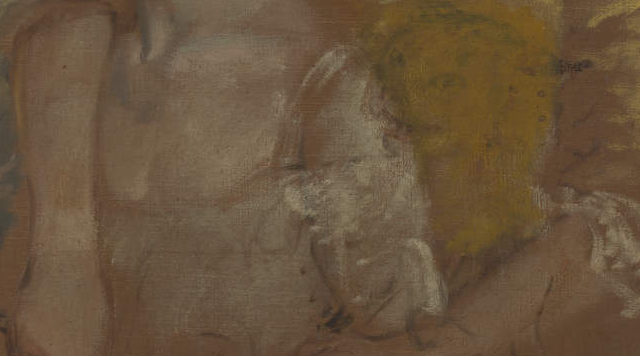 At a cursory glance the cat may prove hard to locate but look to the lower right of the painting, where a shape can be identified lounging on Margaret's forearm. Reaching over, Margaret is pulling the animal's tail gently and in the outline of its face, we can see that the feline was far from happy! Sadly the painting was never finished and as such, we can only catch the barest glimpse of the phantom cat in the little girl's arms, or share this moment of childhood domesticity.